Mouser Electronics Signs Global Agreement with krtkl inc.
Mouser Electronics announces a global distribution agreement with krtkl inc. (“critical”), a provider of high-performance, low-power embedded hardware and software for edge computing applications ranging from mechatronics and automation to computer vision and remote sensing. 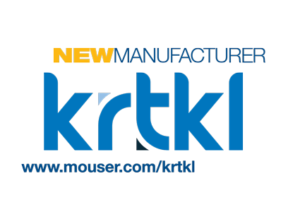 Through the agreement, Mouser now stocks three krtkl products, including its popular embedded platform, snickerdoodle. 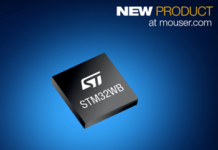 krtkl’s snickerdoodle black system-on-module (SoM) is a prototype-to-production platform for building high-integrity Internet of Things (IoT) products. 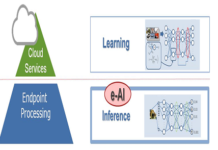 Built on a Xilinx Zynq-7020 system-on-chip (SoC) and a Texas Instruments WiLink 8 wireless module, snickerdoodle is designed to make high-performance, power-efficient computing and artificial intelligence (AI) at the network edge practical, affordable, and scalable. 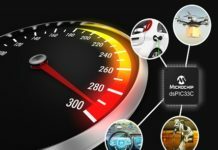 The 2” × 3.5” (50.8 mm × 88.9 mm) board offers a Zynq SoC with two 866 MHz Arm Cortex-A9 cores and a 1.3M gate Xilinx Artix-7 field-programmable gate array (FPGA), dual-band Wi-Fi and Bluetooth Low Energy connectivity, 1 GByte of LPDDR2 RAM, 125 reconfigurable FPGA inputs/outputs (I/O), and 55 additional I/O pins. 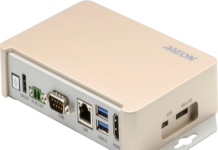 Out of the box, snickerdoodle supports Ubuntu Linux, Python, PYNQ, C/C++, and bare metal. Every snickerdoodle black includes an adhesive-backed copper heat sink. breakyBreaky is a snickerdoodle breakout baseboard that enables engineers to access the full snickerdoodle pinout via 0.1” (2.54 mm) headers. 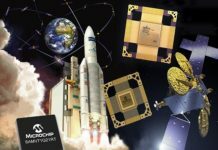 For applications and projects that have less stringent size constraints, the 3.94” × 4.92” (100 mm × 125 mm) breakyBreaky comes loaded with 270 pins, as well as a 14-pin Xilinx JTAG header, a 0.1” (2.54 mm) grid plated-through-hole prototyping area, DC power jack, and four adhesive-backed locking PCB supports. piSmasher is a single-board computer (SBC) snickerdoodle baseboard for audio/video processing, networking, edge AI, and general computing applications. 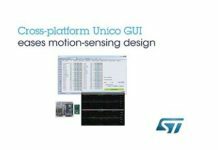 It includes dual, FPGA-connected Gigabit Ethernet interfaces with PHY support for Time-Sensitive Networking (TSN) as well as simultaneous HDMI video input and output at up to WUXGA (1920 × 1200p) at 60 Hz and 8-channel, 32-bit/192 kHz HDMI audio input and output. Additionally, piSmasher has four High-Speed USB 2.0 Type-A Host receptacles and a dedicated 96 kHz stereo audio codec with color-coded 3.5 mm jacks for line-in, line-out, and headset (stereo audio, mono microphone), and provides access to 25 of snickerdoodle’s reconfigurable FPGA I/O. The 3.5” × 5.66” (88.9 mm × 143.8 mm) board also has an I²C identification and configuration EEPROM, 14-pin Xilinx JTAG header, DC power jack, and four adhesive-backed locking PCB supports. 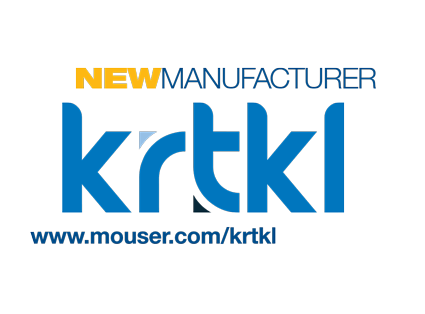 To learn more about krtkl’s products at Mouser, visit www.mouser.com/krtkl.